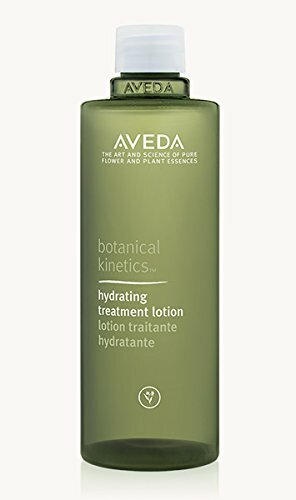 AVEDA BOTANICAL KINETICS HYDRATING TREATMENT LOTION 150ML. Quench thirsty skin with the Aveda Botanical KineticsTM Hydrating Treatment Lotion; a fast-absorbing, ultra-hydrating formula that works to revitalise and replenish your complexion. Fortified with invigorating Caffeine and Algae Extracts, the lightweight liquid delivers intense moisture to dry skin, whilst imparting a luxurious fragrance of Rose, Eucalyptus and German Chamomile. Expect a dewy, healthy-looking complexion with revived radiance and improved texture. Dermatologist tested. Suitable for all skin types. 99% naturally-derived from plants, non-petroleum minerals or water. all skin types. 99% naturally-derived from plants, non-petroleum minerals or water.